Huawei looks set to unveil its next flagship smartphone range at the Mobile World Congress tradeshow in Barcelona next month. The P30 and P30 Pro will be the successors to the Huawei P20 and P20 Pro unveiled at the industry event last year. According to the latest rumours, Huawei plans to bring the triple-camera set-up debuted with the Huawei P20 Pro to the Huawei P30, while the pricier P30 Pro will boast an all-new set-up designed to enable greater zoom capabilities. The new camera will likely use the new Sony six-series sensor, potentially the 1/1.8" 38-megapixel IMX607. 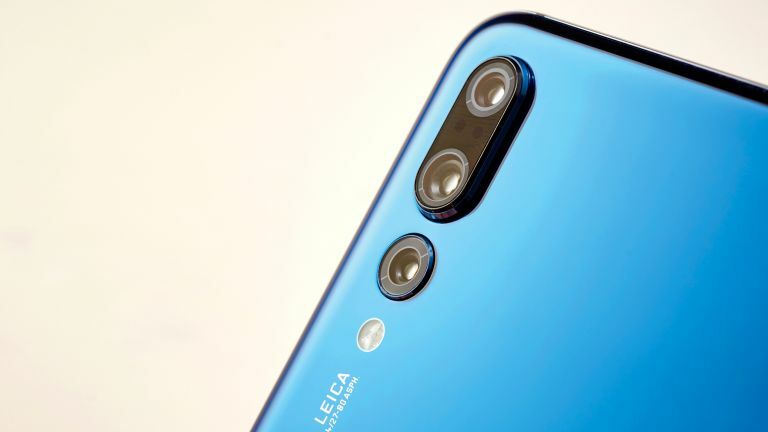 It's unclear exactly how many cameras will be fitted to the Huawei P30 Pro to enable its zoom functionality. The P20 Pro introduced 3x optical zoom with its triple-camera set-up. Huawei also used the camera to enable new features designed to salvage photographs in challenging conditions, notably low-light with its Night Mode. Oppo has already revealed plans to introduce 10x optical zoom capabilities to the rear-mounted camera on its next flagship smartphone, which is scheduled to be announced at MWC, too. The latest whispers come courtesy of workers inside Huawei who claim to be using engineering samples of the as-yet unannounced P30 handsets. According to reports, both devices will sport OLED displays. Last year, Huawei reserved the OLED panels for the Pro variation of the smartphone. The move to OLED being forced because of a decision to relocate the fingerprint scanner from the back of the handset to beneath the glass display. The optical in-display fingerprint sensor only works with OLED panels, GSMArena claims. Moving to an in-display fingerprint scanner means there's no need for a facial recognition system on the front of the phone. As such, the notch will be going on a diet and will purportedly resemble the smaller, teardrop notch of the OnePlus 6T. Elsewhere, both Huawei P30 and P30 Pro will be powered by flagship Kirin 980 chipset announced at IFA last year coupled with 8GB of RAM on the entry-level model, and 12GB of RAM on the P30 Pro. The final tidbit from inside the company relates to the screen sizes planned for the Huawei P30 range. P30 is said to have a 6.1-inch OLED display, an increase from the 5.8-inch LCD screen seen on its P20, while still maintaining the same physical footprint as its predecessor. Meanwhile, the Huawei P30 Pro will increase to 6.5-inch, up from the 6.1-inch OLED used on the P20 Pro last year. Charging is reportedly still limited to 22.5W, instead of adopting the faster 40W charging of the Huawei Mate 20 Pro. The P30 will have a 3.5mm headphone port, while the P30 Pro will not.